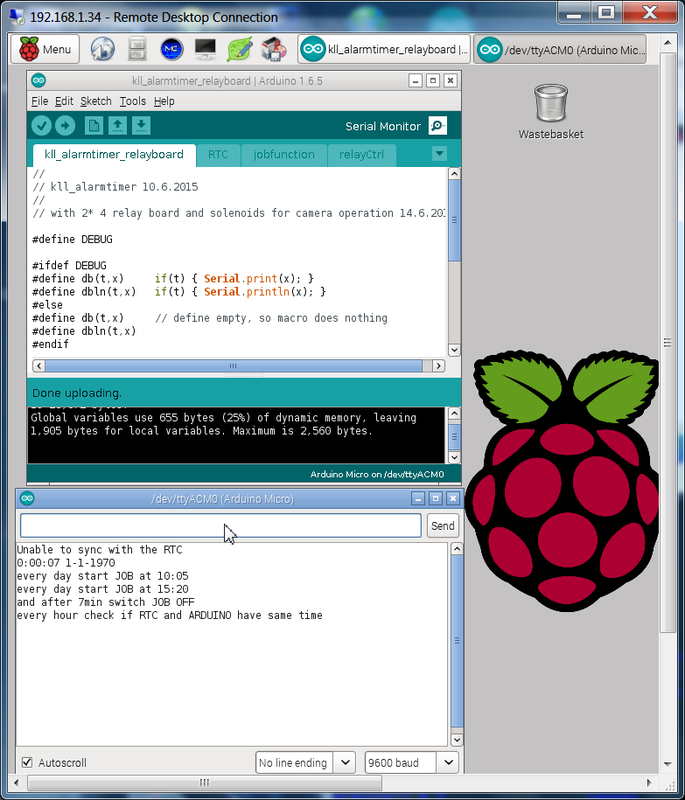 when you use RPI ( with debian wheezy ) you can install a arduino IDE 1.0.1 ? what is rather old to actual 1.6.4 and does not support DUE .. board types. so i was looking for any update on that. 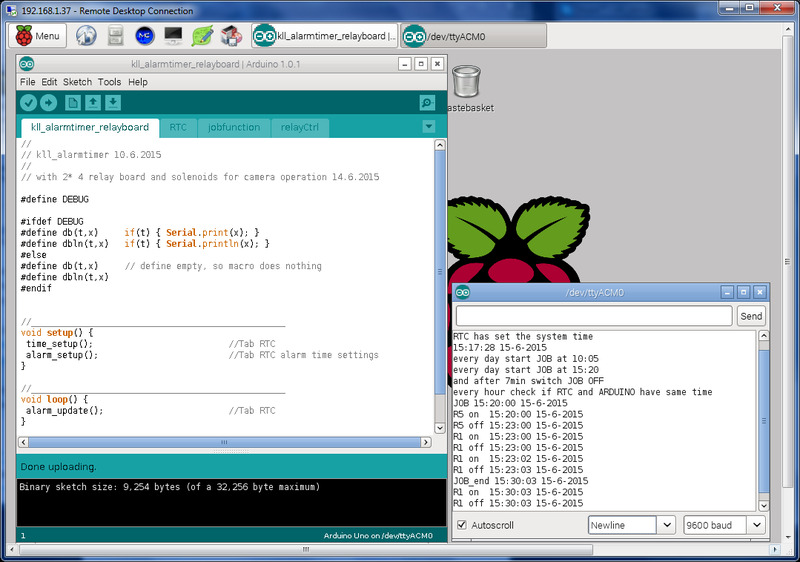 2015-05-05-raspbian-wheezy.zip (in download page say 990MB) by torrent download at 1.3MB/s in 12 min. i use a 8GB Sundisk ULTRA microSD I (class 10), format with "SDFormatter V4.0"
and use "Win32 Disk Imager" to write to SD at about 13MB/s in 4 min. put SD in RPI, powerup and check router DHCP clients RPI IP. using jessie instead of wheezy, and finally he states ... and got 1.6.4 to work. especially towards beginners and non native english speaking/writing users, so i stopped posting there. It is that we beginners have to bow to that specialists, however cryptic and arrogant their posts might be. login as: pi it hangs until timeout error. and after that hangs there. pls we all understand that i not know what i am doing here! also both not tell you that you have to expect a 3.5h job? and not need to sit 3.5hours in front of the stupid terminal. 40-scratch.rules and 99-com.rules, so i don't know what to do. later test browser ( epiphany ) again ( via link ) and now works ?? AND make backup of the SD card, with "Win32 Disk Imager" at 15MB/s in 9min and zip/move 7.0GB to 3.7GB in 15min. sudo wget https://www.dropbox.com/s/xpalmwf4psb3qab/Arduino_1.6.4.debian.tar.gz what is that and who make it?? and save us some hours. 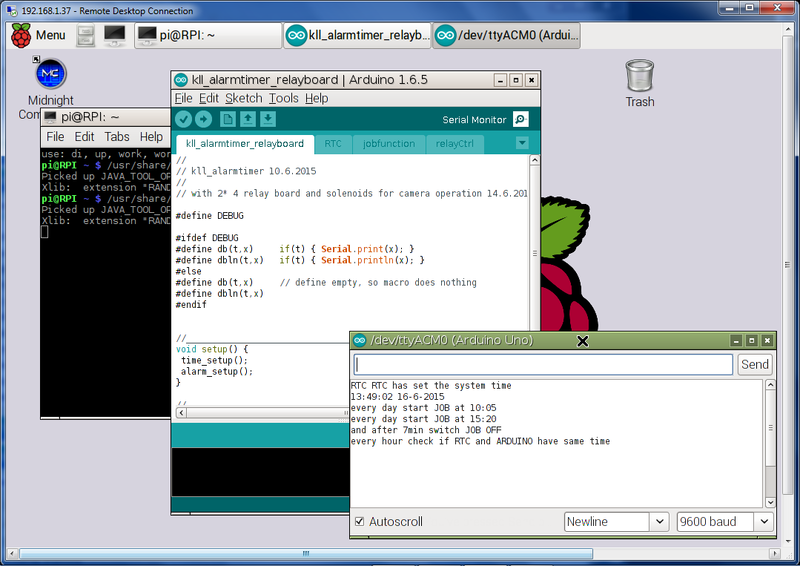 so i copy my old arduino projects ( from google drive ) to the USB stick at the RPI. for more easy cross update i should install samba for the RPI USB stick. but the "bitvise SSH client" SFTP tool is ok too. 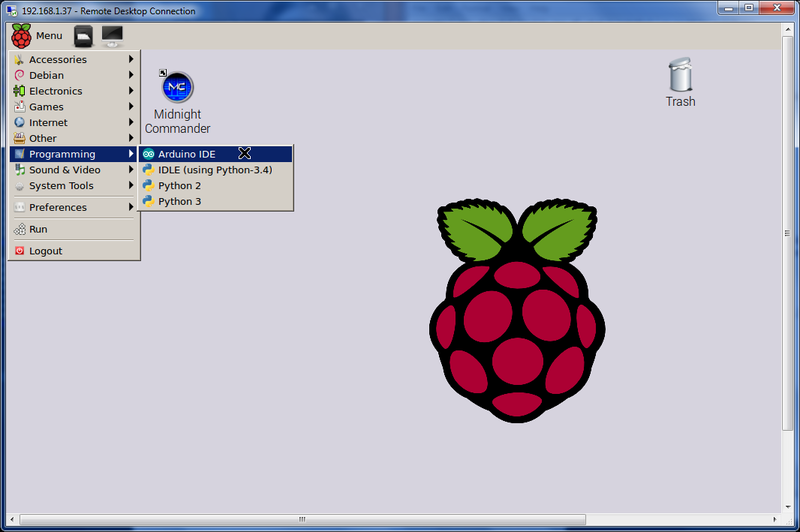 after adjust arduino IDE / file / preferences / "/media/pi/KINGSTON/...." i have all my projects available. powerproblems? 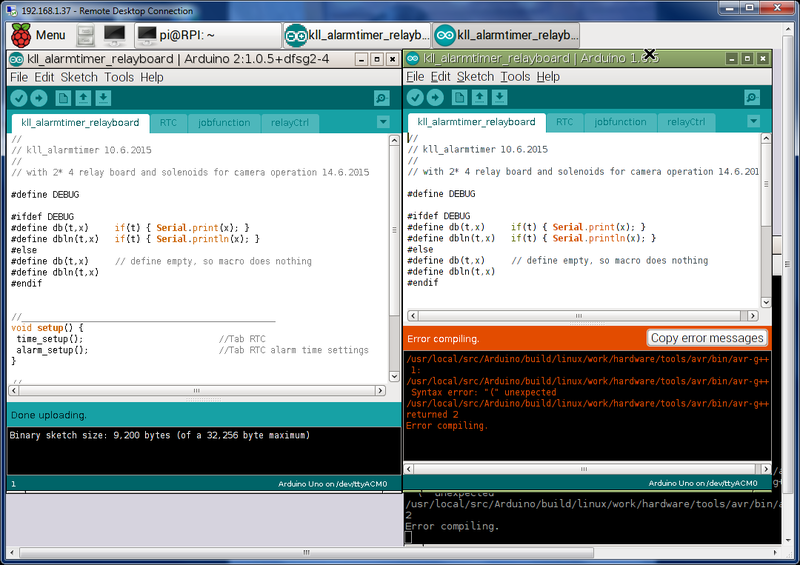 so first i try using a powered USB HUB for the arduino. must test with old system OR with different Arduinos. 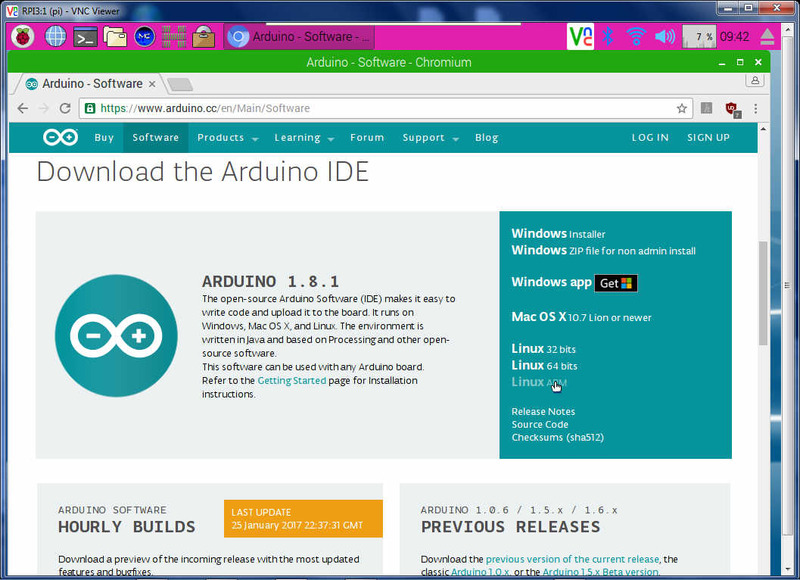 sudo apt-get install screen but first install GNU screen ( terminal emulator ) to check line without Arduino IDE. but as i don't know how to close i just close window and a second start not work?? a recheck with a updated wheezy and arduino IDE 1.0.1 shows that terminal works at same hardware situation, only other SD card. for the remote application i think about, that is a KILLER. and that even after he used above 3 add commands? still i want to mention them here. actually i not understand what i would be supposed to do. 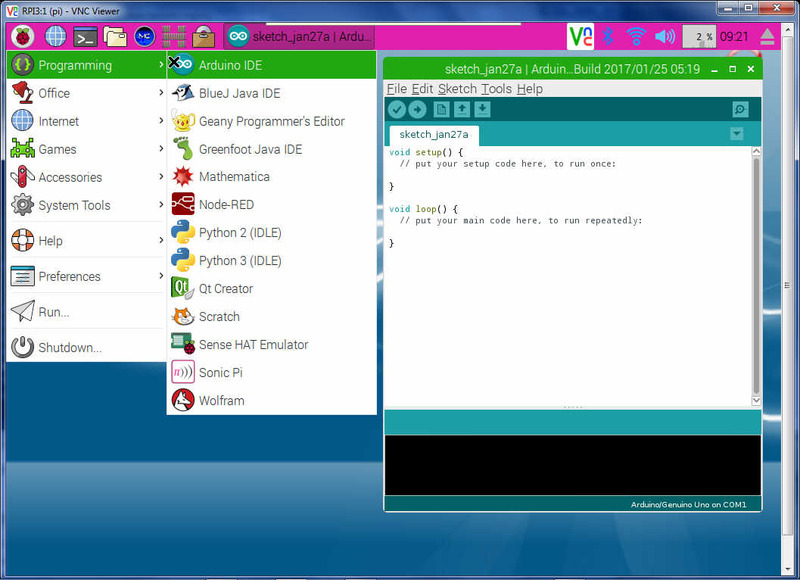 and i have the above good situation ( SD with fresh JESSIE and IDE 2:1.05 ) to test. so, now what needs to be installed? i expect need same as with ShorTie version. last time it took an hour. but that is supposed to be same? well i expected a compile job, or minimum a installation job... but actually it is just a arduino start via terminal ( as not installed / not in menu ) a kind of basic way to distribute, but right, it runs on RPI B too. in his post i only saw Okay, I've packaged my version. It's here. sadly it not runs on the win7 64bit laptop what should we do? i not see an answer there?? 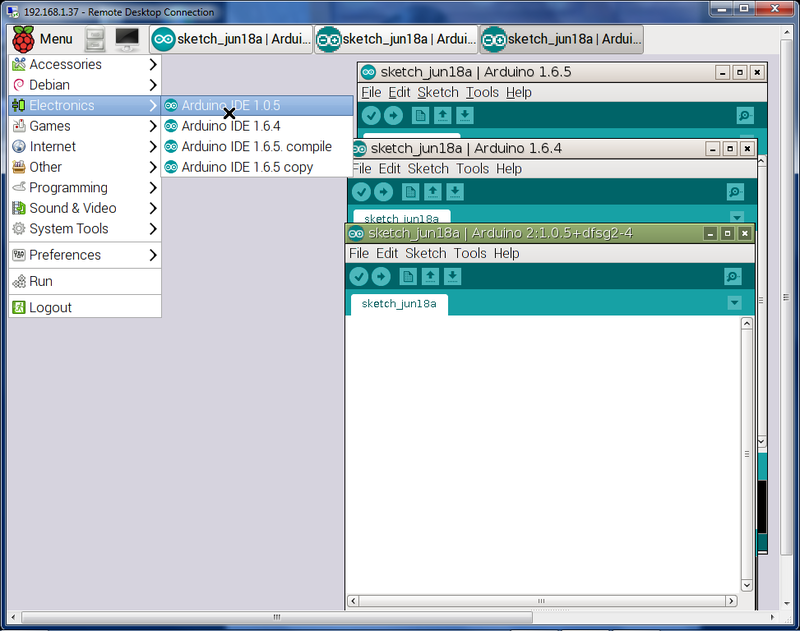 try again with "mc" command / file find / "arduino"
i want play little bit with the versions. it can not be overwritten by a new installation. add i want free that path, change the directory name, so i can try other version. sudo git update error, not a git command. IDE 1.6.5 start ok, verify same error. 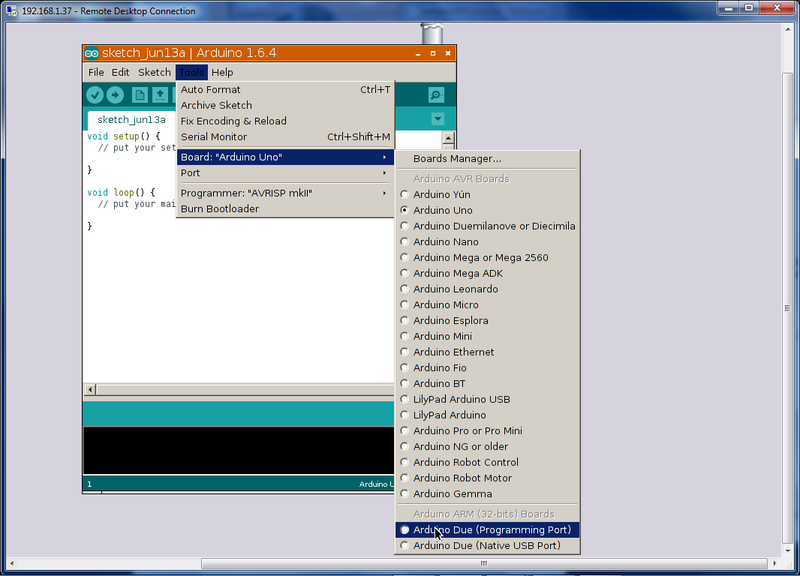 as i have there a Arduino 1.0.1 already running i want to do the rename thing here too. change 2 times "/usr/share/arduino" to "/usr/share/arduino101"
sudo tar xvf arduino-1.6.5-arm_wheezy.tar.xz now path correct. and it starts !UNDER WHEEZY! after a bunch of GtkSettings warnings. 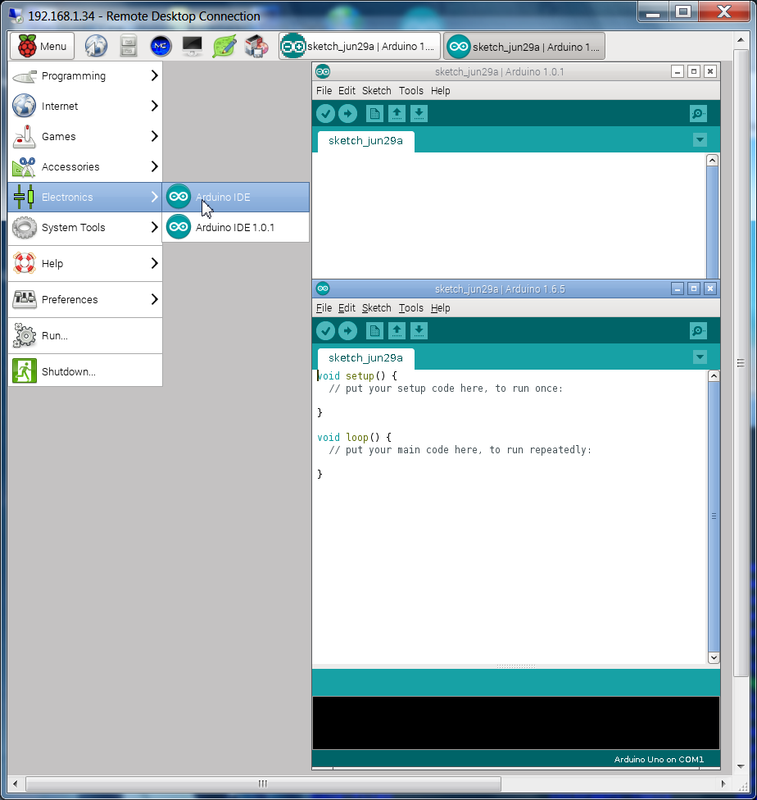 change 2 times "/usr/share/arduino" to "/usr/share/arduino-1.6.5"
now both start from desktop, without the intro picture, just a long wait. for getting/updating to the very newest pls use the nightly build.